The discovery of ruins in the landscape is the theme of these works. Mark Dober and Elizabeth Nelson are an artist couple, living in Castlemaine, central Victoria. Often working together, they make their paintings and drawings in the landscape. For this exhibition, their second collaborative show, they have made small oil paintings. 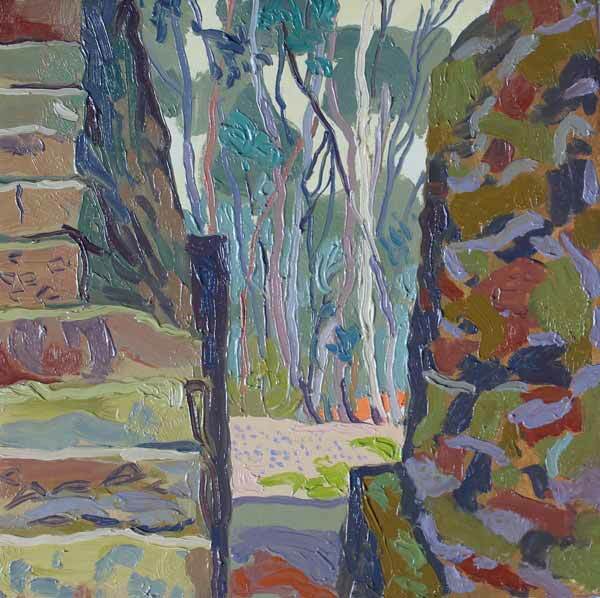 Mark has contributed recent paintings of ruins from the nineteenth-century goldfields of their region, found isolated in the forest. 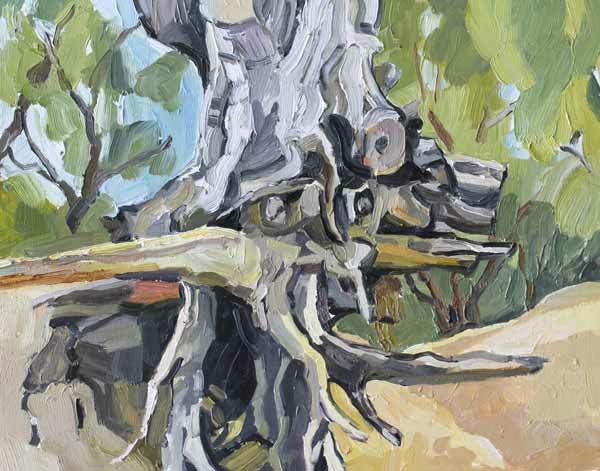 Elizabeth has contributed paintings made of their recent residency in Mildura where she made work at the ragged edges of an abandoned vineyard: disused irrigation waterwheels, and cactuses expiring from a lack of water. The artists have sought to convey a sense of discovery, as if their sites had been stumbled across: worlds whose remnants strangely and mysteriously intrude on our present. 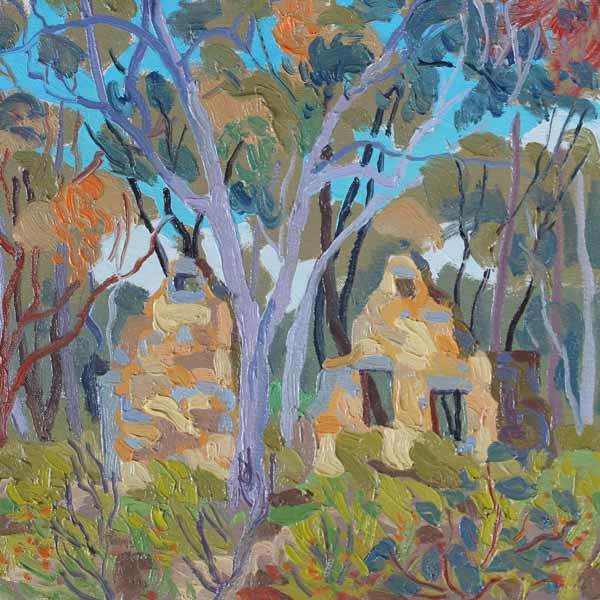 Mark Dober and Elizabeth Nelson held their first collaborative show earlier this year at Bathurst Regional Art Gallery, of paintings made during their residency at Hill End in central NSW. 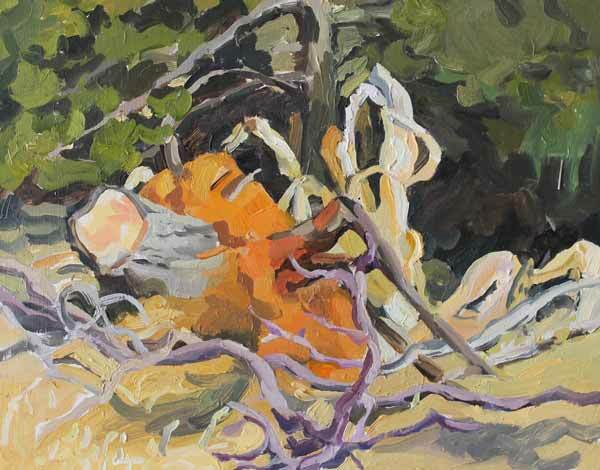 Mark’s most recent solo show was of You Yangs watercolours at Geelong Art Gallery. Elizabeth’s most recent solo show, featuring a 10 metre-long ink and watercolour painting made in the landscape, was at C3 Contemporary Art Space in Melbourne this year.